Help celebrate an old friend’s birthday by purchasing a limited-time figurehead in Sea of Thieves. Customizing a ship is one way for pirates to show their allegiances, their worth, and the mighty beasts they’ve slain, but sometimes they like to do it to celebrate an old friend’s birthday. As part of Banjo-Kazooie’s 20th anniversary, Rare has added a brand new figurehead into the game for players to buy and mount on their ship. The Banjo-Kazooie figurehead is super simple to unlock, as long as players are trying to buy it during July of 2018, because after July, it will be no longer available for purchase. After loading into Sea of Thieves, players will need to head to the closest shipwright at any of the six outposts around the map. The shipwright can be found at the end of the outpost’s pier, near the water. Speak with the shipwright and view her stock to see the Banjo-Kazooie figurehead for sale. 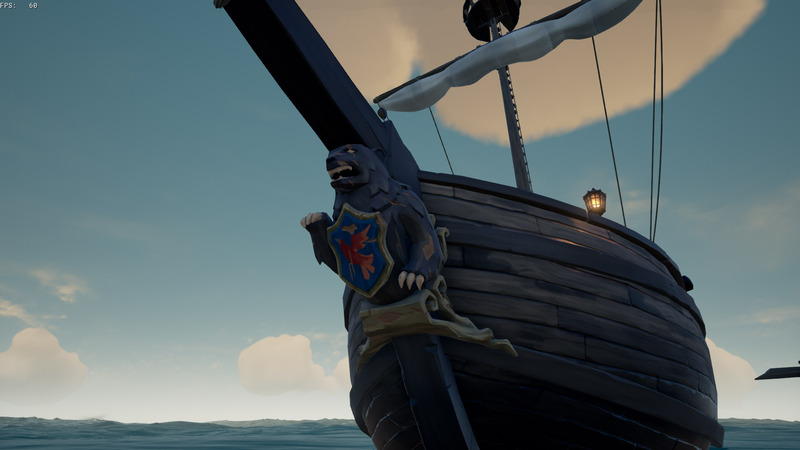 This figurehead takes on the appearance of a bear with a shield, and on the shield is an image of a bird. The item does cost 1,998 gold (the year Banjo-Kazooie was first released on Nintendo 64) so if you don’t have that lying around, make sure you know how to get gold. 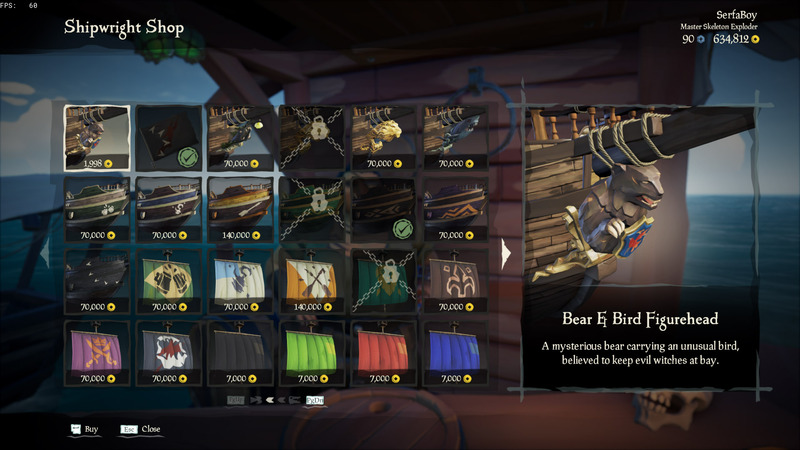 With the figurehead purchased, interact with the chest beside the shipwright to mount the Banjo-Kazooie-inspired item to the front of your sloop or galleon (and soon a brigantine). This item is only available during July, so snap it up while you can! Be sure to sail over to the Shacknews Sea of Thieves guide and walkthrough for more helpful tips on leveling and tricks on sailing!